This pavilion is the last remaining building from a late-nineteenth century resort known as Vita Park. This twelve-acre spa (the present park area) was established by Dr. George E. Swan, who purchased this property, then known as Ackerman's Spring, in 1879. The pavilion is built over an ancient spring long used by the Winnebago and Potawatomi Indian tribes. The spring was called "much good water" and was believed by the Indians to have medicinal properties. Dr. Swan made this spring the focal point of his resort and a nearly constant procession of people came to drink from the Vita mineral spring and to bathe in its healing waters. People from as far away as New Orleans and St. Louis came by train to stay at the large hotel which was located on these grounds. 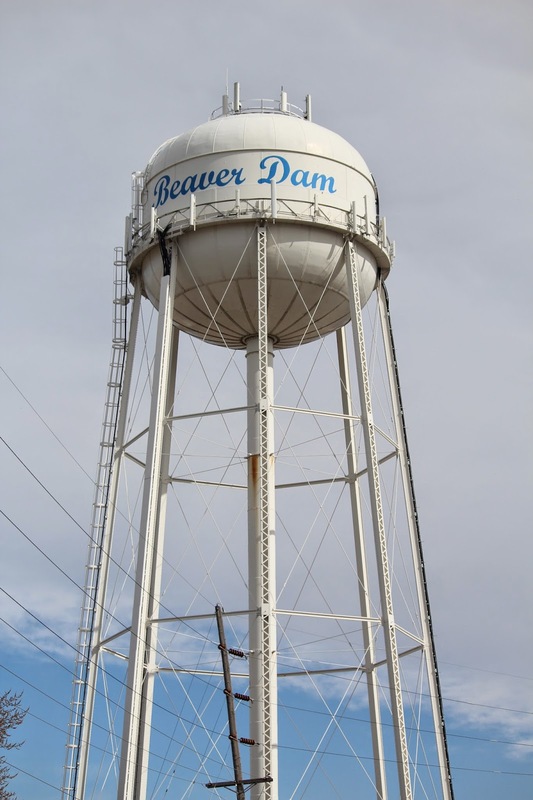 This spa remained open for thirteen years, and the citizens of Beaver Dam were allowed free use of the spring and property through the generosity of Dr. Sawn. In 1906, this property was purchased by the City of Beaver Dam and since 1916 has been preserved and maintained as Swan Park. 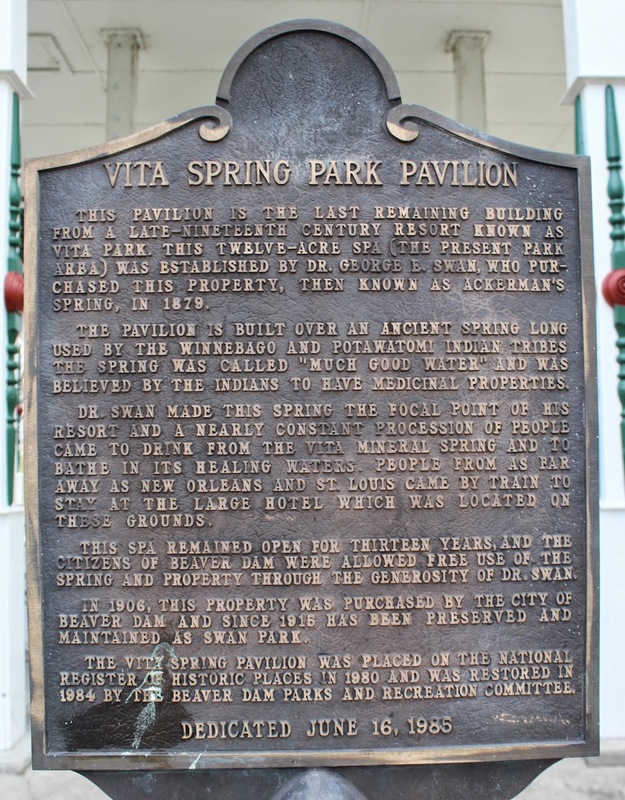 The Vita Spring Pavilion was placed on the National Register of Historic Places in 1980 and was restored in 1984 by the Beaver Dam Parks and Recreation Committee. 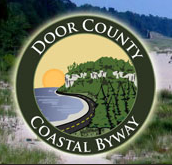 The marker and pavilion are located inside Swan Park, closest to the northeast corner of the intersection of South University Avenue and East South Street, Beaver Dam, Wisconsin 53916. NOTE: There is plenty of parking on East South Street, and the pavilion is easy to see from that parking location. The marker can be seen to the left, between two pavillion columns. The spring source at the center of the pavilion . . .
Lake in the center of Swan Park . . .
. . . is a lovely place for a photo!